£ 17,60 IVA 22% incl. 40 cm. - 16 inc.
50 cm. - 20 inc.
60 cm. - 24 inc. The lock for Hair Extension created in collaboration with the best hairstylists in the world who choose only the best for their customers. 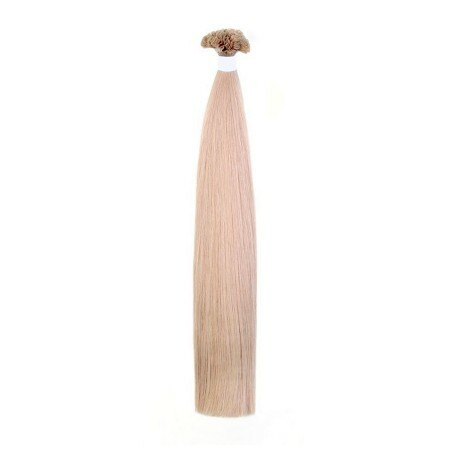 Hair locks are characterized by a superior quality, since hair locks have the same length from roots to ends. Only with these locks you can have full and voluminous Hair Extensions and/or thickening, from roots to ends. Hair locks are available in 3 lengths : 40 cm, 50 cm and 60 cm, in the following colors : 1B, 2, 4, 6, 8, 10, 12, 24, 27, DB4, DB2, 20, 1001, 1002, 1003, 1004, 32, 35, 12 / DB2, 18/24, 8/26, 140, 27/140. RECOMMENDED AMOUNT : VOLUME EFFECT 5/6 PACKS; COLOUR EFFECT 5/6 PACKS; FULL HEAD 5/6 PACKS.